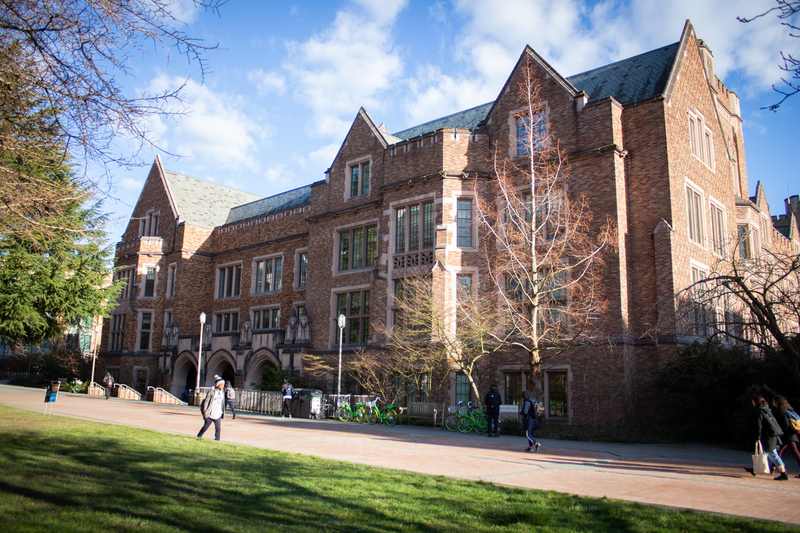 Mary Gates Hall is the University’s center for undergraduate learning — a crossroads and commons for University of Washington undergraduates. 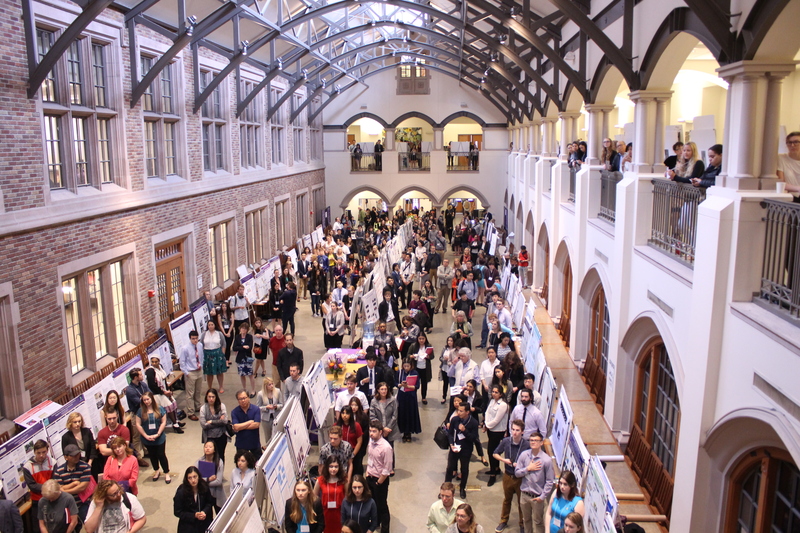 From orientation to graduation and beyond, students find opportunities and academic services within Mary Gates Hall that enhance their education. 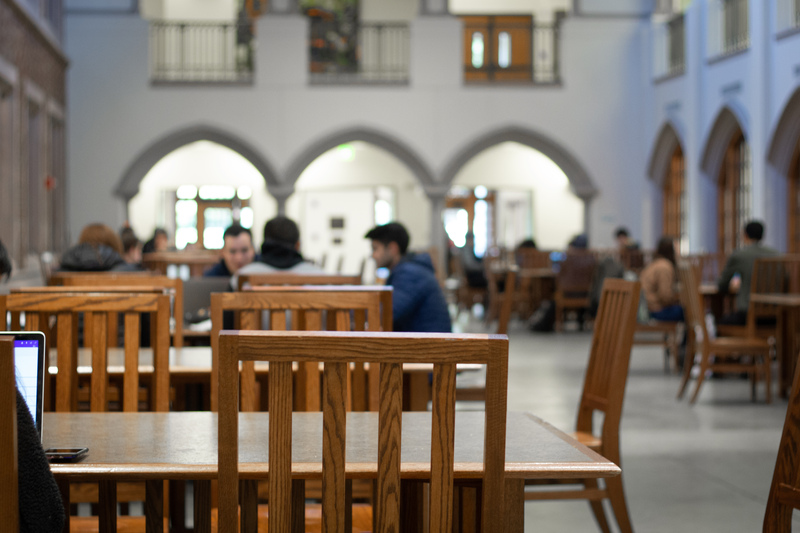 Mary Gates Hall is a place where students from diverse backgrounds come to learn, study, celebrate their accomplishments, and plan their futures. The two-story interior commons is surrounded by technologically-advanced classrooms in which faculty bring students into the excitement of their work, encouraging discovery, community, and life-long learning. Formerly known as the Physics Building, Mary Gates Hall is the result of a distinguished legacy, inspired leadership, and vision for the future of the UW’s undergraduate experience. The Board of Regents decision to re-name the building coincided with a 1995 $10 million gift from the Gates family that established the Mary Gates Endowment for Students. Mary Gates Hall is also the physical representation of the centrality of undergraduate education to the University of Washington. 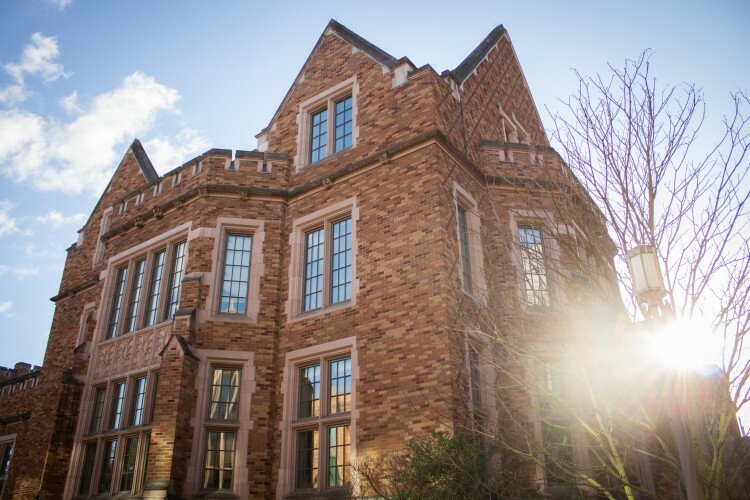 By centralizing and housing academic opportunities for undergraduates to enrich their learning within and beyond the classroom, this building symbolizes the possibilities of bringing the full power of a research university to the undergraduate experience. Reserve space in Mary Gates Hall for a special (one-time) event.